Mother nature is my Beacon. It is the forefront of everything I do, and especially my work. It is a passion of mine, I Live, breathe and draw nature, it is important to all of us in many ways than one and more-so to me. I mainly stick to a traditional cornucopia of materials including fine liner, watercolour and ink. I love the fluidity of these materials and the way they can be easily manipulated. Sometimes I like to break through my comfort zone and test new materials and techniques. Some materials work and others don't but that is the beauty of experimentation. My other interests include Photography, reading, story writing, craft making. All of these influence my illustrations in a variety of ways, especially photography as it informs a lot of my work. I hope you enjoy my work as much as I did in creating them. 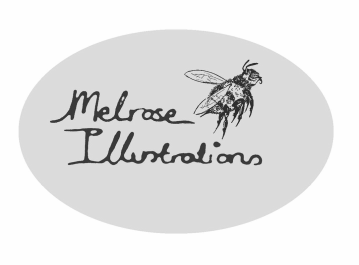 All work is Copyright of Melissa Rose/ Melrose Illustrations. Don't use my images without permission, all work belongs to me.